About Us | Ready, Set, Grow Daycare, Inc.
We provide high-quality child-care services in a Group Family Daycare setting for children 18 months - 7 years of age. 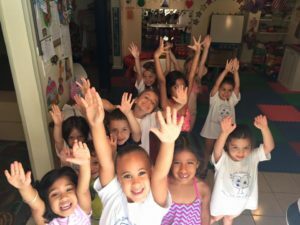 We offer a child-care curriculum filled with age appropriate activities that will foster cognitive, social, educational and recreational child development. Our main philosophy is to provide a safe and emotionally nurturing environment in which a child can thrive in all areas of development. We believe that a solid early learning foundation will ensure success in life. A child's success is the shared responsibility of parents, early educators and caretakers, as well as the community. We take great pride in what we do and the impact we have on your child's life and learning. Helping your child to achieve their personal potential and instill a love of learning is our main objective. We feel that the advantages of high-quality childcare will prove to be invaluable to a child's overall development. We understand that children develop at their own pace and no two children are alike. Ready Set Grow is committed to providing every child with a good head start and to ensure that they are given the proper tools, confidence, and encouragement which are essential to achieving success in and out of the classroom. 2017 Ready Set Grow Daycare Inc.